If St. Louis looked a little blue – literally – the first weekend in April 2011, it was the inspiring shade of a worthy cause and friends in well-lit places who helped make it happen. On April 1 and 2, St. Louis joined thousands of communities worldwide to light significant landmarks and structures blue in support of World Autism Awareness Day. Autism is diagnosed in one out of 110 children and one out of 70 boys – including John Houston, the son of Casey Communications’ Account Supervisor Steve Houston. 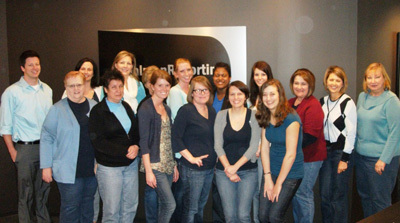 Associates at PohlmanUSA Court Reporting dressed in blue on April 1. Photos of structures and landmarks that participated in “Light It Up Blue” across St. Louis are available on FLICKR. Or, enjoy our “Light It Up Blue” video on YouTube, produced by Casey Communications team members Steve Houston and Martha Casey-Philipp (click the image above). In January, Steve connected one of his favorite causes, Autism Speaks and its “Light It Up Blue” campaign, with our client, HOK. The HOK Lighting Group has beautifully lit a significant number of St. Louis structures, statues and fountains. HOK’s David Ziolkowski willingly loaned his talent and worked his connections. 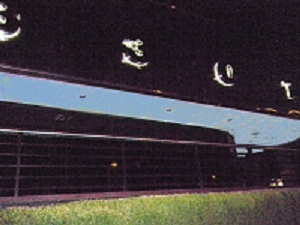 The result: St. Louis had more than a five-fold gain in illuminated structures between 2010 and 2011, lighting more than 15 structures – up from only three in 2010. 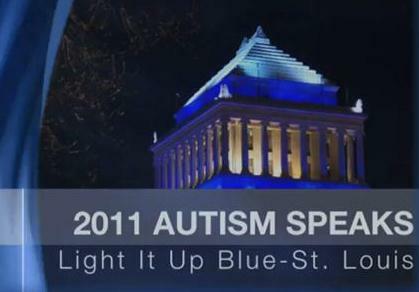 The poignant kickoff of “Light It Up Blue” in St. Louis featured children with autism helping HOK illuminate the Missouri History Museum in a stunning blue light. Others bathed in blue included the Civil Courts Building, the Chase Park Plaza, Busch Stadium streetscapes, Soldiers Memorial, Tower Grove Park structures and more. Thanks to donations from THF Realty and Western Extralite, the Casey Communications office building in Clayton, Maryland Park West, glowed blue, too. IRL – An acronym frequently used online, short for “In Real Life.” “IRL meet up” refers to a face-to-face meeting – connecting with others after first “meeting” on a social media site. When a disaster strikes, how will your business address key stakeholders? The impact of a crisis may shake the day-to-day business operations of a company, but a good reputation is sustainable through the good times and the bad. While preparing for a crisis is necessary, a reputation shouldn’t be left to fend for itself. The foundation of a vibrant organizational reputation begins with the key stakeholders. Consider how they expect the company’s reputation to hold up during a crisis, and how the business can ensure expectations are met. With an ever-increasing focus on crisis communications, mainstream public relations and marketing, reputation management might be overlooked. Is your business facing any reputational risks in the way it’s perceived by the public? To learn more about developing a reputational risk management plan, contact Casey Communications to see how we can help. “I just do the work, I don’t sell.” If any entrenched idea should have been extinguished by the Great Recession, it was this one. And yet, even though many companies continue struggling to find work, the disconnect of selling work to get work remains. 1. Emphasize the mission. A well-articulated company mission can unite employees, elevating jobs to a greater purpose and prosperity for all. If employees are detached from the mission, they have no stake in its outcome and no reason to sell the brand. 2. Set goals. Each employee should have a sales goal that can be measured. Most often that’s revenue, but it might be something as simple as generating leads or making one connection a month with a prospect. Review the goals periodically one-on-one and coach employees to attain goals. 3. Educate. Invest in professional development to nurture sales skills. It is not going to be an instant transformation, but eventually employees will find their footing as effective emissaries. 4. Instill confidence. Without confidence, no attempt will be made to discover ability. Education, practice and small successes are steps on the path. 5. Leverage connections. Everyone has connections, but opportunities are missed because business development professionals may not be aware of a vital connection or insight a colleague might have with a prospect. Don’t miss connecting with the crowd in which your employees run. 6. Engage in the community. As ambassadors, employees can network for the company through business and civic organizations. Encourage your employees to get involved in organizations for which they have a passion. Their involvement will showcase your team’s talents and values among prospects, too. A good place to start engaging employees in marketing is finding out how much they know about the company. Survey them about the brand. Ask them what they think they can do to advance brand awareness and if there are prospects they’d be excited to share. Build a culture of marketing to sell the work they love to do. And contact Casey Communications if we can help engage your team.